I'm sorry to have missed out on February. Life got really busy, which is a shame, because I was (and am) very excited about both social justice and French literature. I suppose we'll just have to continue to discuss these subjects throughout March, since we got nowhere near completing our readings or exhausting our thoughts. The one thing I read was a very interesting essay by Susan Sontag: The Double Standard of Aging. 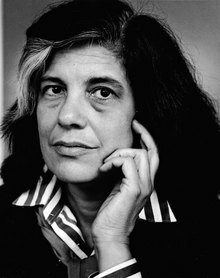 I was pretty familiar with the argument through cultural osmosis, but I had never read anything by Sontag. The essay discusses the double standard in how society perceives and treats aging in women and men respectively. Sontag's conclusion is that there is a far higher pressure applied on women with respect to age, which leads to higher psychological costs for them. Old age is something no one is very happy about (from a social capital point of view, nevermind the biological aspects), since it involves a diminishing of one's sexual attractiveness, but in men these negative aspects are somewhat compensated by an increase in the respect they get, from being perceived as wiser or more interesting. For women, being older is being less attractive: there is no achievement that can compensate for wrinkles.